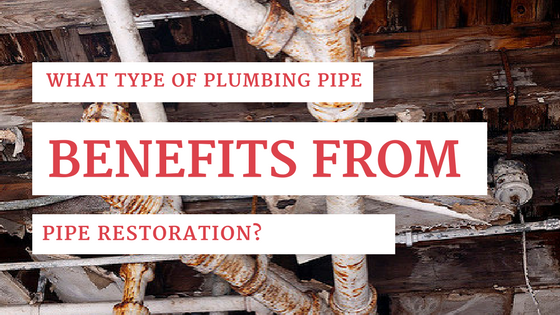 What Type of Plumbing Pipe Benefits from Pipe Restoration Services? Are you looking for a fast convenient way to restore your plumbing pipes rather than have them all completely removed and replaced? Epoxy pipe lining is a relatively new way to clean and restore pipes without tearing out large sections of drywall and flooring. Plumbing pipes are made from a variety of metals and plastics from PVC to cast iron, and the type of material used often depends on the decade in which the residential or commercial building was built and the type of plumbing application. ABS is a black plastic plumbing pipe that was developed in the 1950s. It’s first use was in oil fields and for industrial plumbing projects that required superior rigidity while resisting impact damage. Today it can be found in residential homes and multi-unit tenant properties. It has a long lifespan when properly installed. However, the joints can come loose over time. This type of plumbing pipe can be lined with an epoxy coating or liner. Cast iron was primarily used prior to 1960 for drain lines, specifically vertical stacks and sewer lines. It has an extremely long lifespan but can corrode and rust over time. Cast iron can be lined with epoxy in order to prevent further corrosion and restore the integrity of the vertical stack or sewer line. Copper can be found in residential homes and large multi-unit tenant buildings. It is a popular choice due to its resistance to corrosion and anti-bacterial properties. It can be purchased as rigid copper pipe or flexible tubing. Old copper installations may contain lead solder, which can be toxic. Copper is also susceptible to acidic water, which may cause pitting and lead to leaks. Flexible copper piping is prone to kinks. Both types of copper piping can be restored with epoxy coatings. Galvanized steel was primarily used until 1980 as an alternative to copper piping. It is more affordable than other types of metal piping, but it can quickly corrode and rust, leading to leaks. The water flowing through the lines can also become contaminated with lead after corrosion starts. 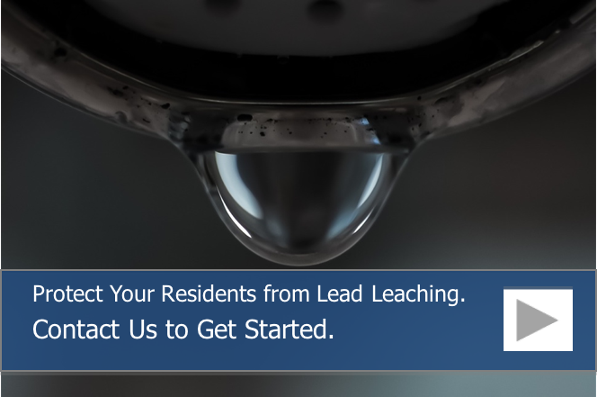 If you find galvanized steel plumbing pipes in your residential building in Chicago, you may want to consider replacing those pipes or having them lined with an epoxy coating to prevent further corrosion and lead contamination. PEX is an extremely flexible plastic that can be used for hot and cold water pipes. It is a great choice when replacing copper lines. Unfortunately, the manufacturing process concerns many environmentalists, and it can be difficult to install under some circumstances. It is also expensive. Since it is not made of metal, it is not prone to corrosion. If you are concerned about the chemicals in the plastic contaminating drinking water, it may be possible to coat the interior with an epoxy coating. PVC is a white plastic plumbing pipe that can be used for potable water and drain lines. It is considered durable and rigid, but it cannot handle hot water and may warp if exposed. PVC can be lined with an epoxy pipe coating. CPVC is similar to PVC but contains more chlorine and can be used for hot water as well as cold water lines. This type of plumbing pipe can be refurbished with epoxy coatings and pipe liners. Here at Nu Flow in Chicago, we provide pipe restoration services in the form of epoxy pipe liners and coatings. If you are concerned about the condition of your plumbing pipes, we perform plumbing pipe assessments that include a comprehensive camera inspection. After the assessment, we will tell you if your pipes are good candidates for our plumbing pipe restoration services and provide you with an estimate. To learn more about pipe lining and to schedule an assessment, call us at 815-790-9000.